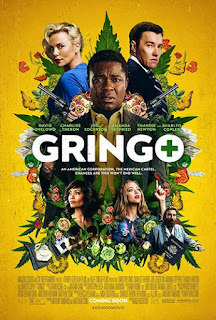 Read Mind on Movies review of Gringo. 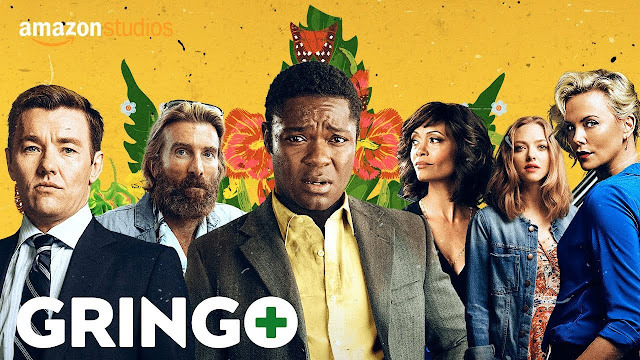 An exhilarating mix of dark comedy, white-knuckle action and dramatic intrigue, Gringo joyrides into Mexico, where mild-mannered businessman Harold Soyinka (David Oyelowo) finds himself at the mercy of back-stabbing business colleagues back home , local drug lords and a morally conflicted black-ops mercenary. Crossing the line from law-abiding citizen to wanted criminal, Harold battles to survive his increasingly dangerous situation in ways that raise the question: Is he out of his depth — or two steps ahead? Harold Soyinka (David Oyelowo) is a businessman who fakes his own kidnapping to get back at his boss. This movie started off strong, it was pretty funny and entertaining, I felt for Harold and was invested in the story. About halfway through it just started to drag as the story got more and more ridiculous. 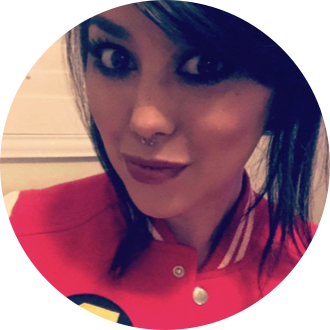 I felt like it was way longer than it was and it just couldn’t hold my interest. If you like dark comedies you might like this one, it just wasn’t for me.